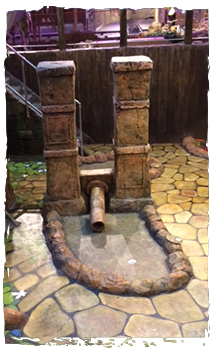 Completed for Summer 2016, an 18 Hole indoor course built around an Amazon concept over two levels with challenging holes and heavy theming. We included a number of bespoke themed items, trees, columns dressings props and ambient sound installation as well as fitting out the new café area for the client in a jungle shack style. Located on a busy retail site this facility also includes children’s jungle climbing play equipment and a ride on train is destined to become a ‘go to’ leisure attraction for the summer of 2016. HM Adventure Golf were appointed as Principal Contractor under a standard JCT Design and Construct contract. We delivered a turn key service including acting as planning consultant in the concept stage, providing a full design service. The Adventure Golf course was installed on a small footprint of only 300m2 but delivers a challenge to the golfer and includes putting fun for all ages. In this growing market the aim was to design a course that raises the bar in respect of indoor adventure golf attractions. The project programme was delivered on a challenging 10 weeks but this was achieved in time for the opening of the facility on 16th July 2016.